Bonomo scores the biggest prize of his career defeating Patrik Antonius heads up. Bonomo is now 6th on the All-Time Money List, overtaking the likes of Juanda, Ivey, and Hellmuth. 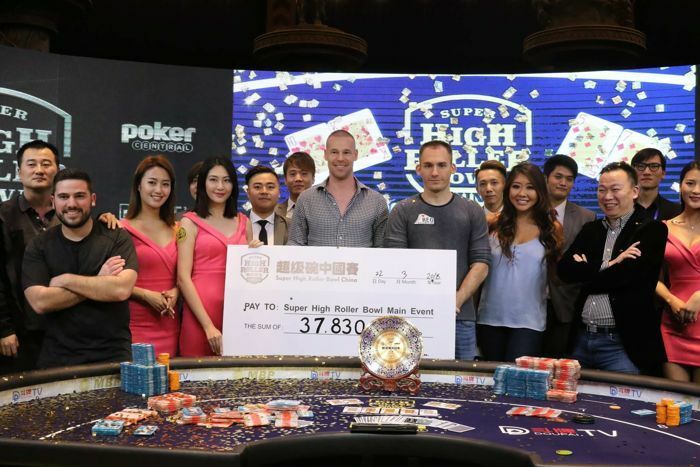 Justin Bonomo has won the Super High Roller Bowl China for $4.8 million, the biggest prize of his career by quite some margin. Bonomo defeated a strong field of 75 entries to walk away with the lion's share of the $18,542,370 prize pool. Bonomo now has a massive $25,195,747 in live tournament earnings, making him 6th on the All-Time Money List, overtaking the likes of John Juanda, Phil Ivey, and Phil Hellmuth. 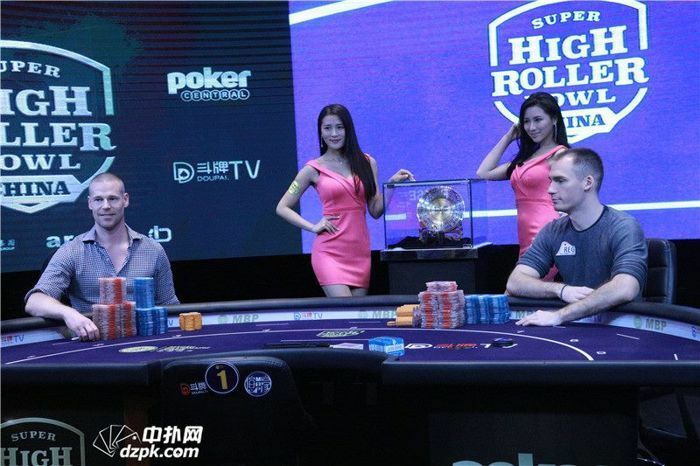 The final table of the Super High Roller Bowl China got underway with seven players remaining, all guaranteed $1,112,621. First to go was David Peters who got it in with against Rainer Kempe's . The board ran out and the tournament was down to just 6 players. Chidwick was to fall next, clashing with against the of Bonomo. With the board running out , the Brit exited in 6th place. Next to walk to the payout desk was Bryn Kenney who, like Peters before him, got it in with against Kempe's . The board came and that was it for Kenney. 888poker's Dominik Nitsche busted to his countryman Kempe. Kempe limped in with and Nitsche checked with . The flop would prove disastrous for Nitsche as it came . Nitsche called Kempe's 800,000 bet and called his 1.7 million bet on the turn as well. The river was the and Nitsche hero-called for his last 7.4 million, but soon found out Kempe had the goods. While Kempe won a huge pot in that hand, he was still next to go. He limped in from the button with and saw small blind Patrik Antonius raise to 2.5 million with . Bonomo gave up his big blind and Kempe called. 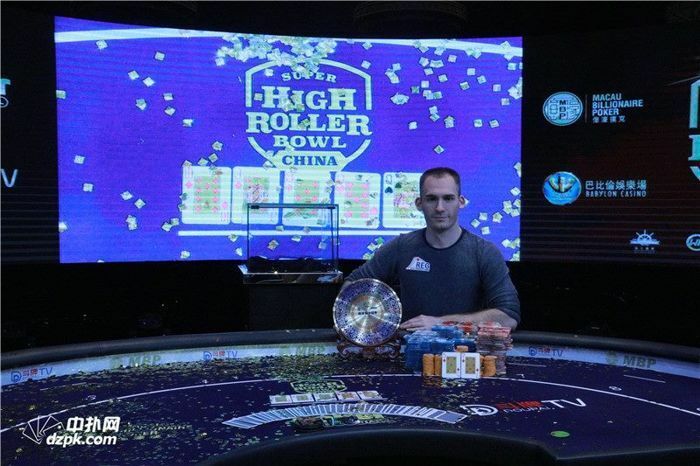 Antonius barreled the flop (3.3 million on ), turn (9 million on the ), and river (23 million effectively on the ). Kempe called all streets with his flopped set but got the bad news as Antonius tabled his rivered flush. The departure of Kempe left Bonomo and Antonius heads up. The two start-of-day chip leaders were guaranteed $3,152,434 with both eyeing the first-place prize of $4,821,516. Bonomo started out with the lead and would soon enough take down the event. 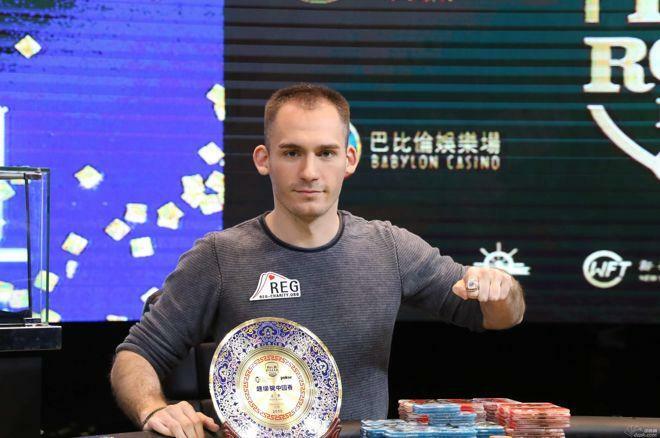 Bonomo opened the button with for 1.5 million and Antonius three-bet to 5.5 million with . Bonomo called. They both checked on . Antonius checked again on the turn and Bonomo bet 4.5 million. Antonius called. The completed the board and Antonius bet 17 million. Justin Bonomo tanked for about 30 seconds and shoved all in. Antonius, who had just 4.6 million behind, was committed and called. There are plenty of other high rollers for these high stakes poker pros coming up. One them is the Super High Roller Bowl at the ARIA, Las Vegas. There was a raffle to determine who was allowed to buy. 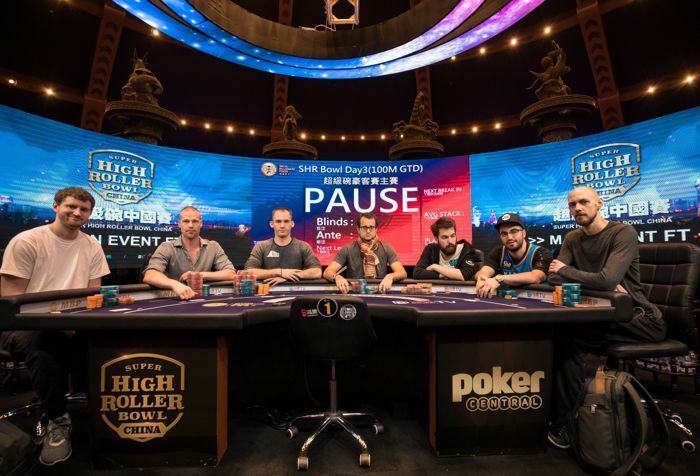 To see who's in, and who got snubbed, read Negreanu, Hellmuth Amongst 30 Confirmed Super High Roller Bowl Players. Photos courtesy of DZPK.com and MBP.com.